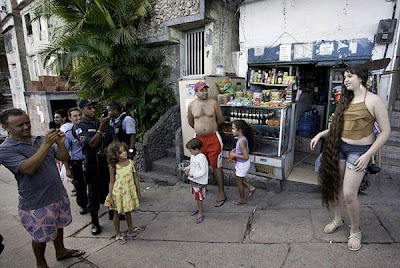 A twelve-year-old girl, Natasha Moraes de Andrade who has been dubbed the real-life Rapunzel after refusing to cut her hair for her whole life is to cut it all off - and plans to sell the 5ft 2inch of hair for 3,500 to be made into extensions. 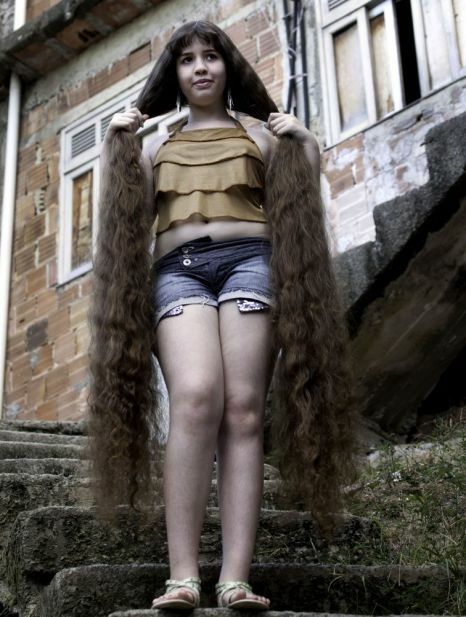 Natasha Moraes de Andrade, who lives in an impoverished shanty town in Rio De Janeiro, Brazil, has never had a haircut. 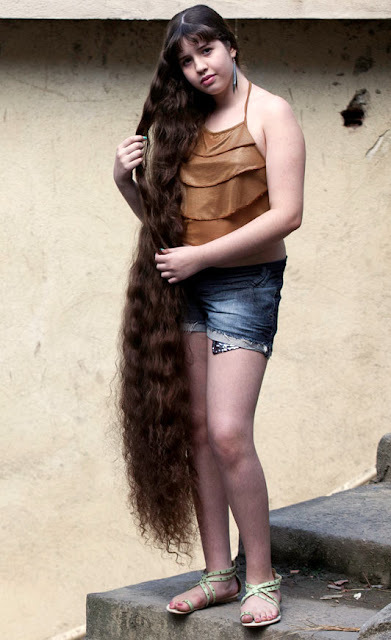 At 5ft 3in, she is just one inch taller than the length of her wavy chestnut hair - and the a lot of maintenance it requires for her lengthy hair. 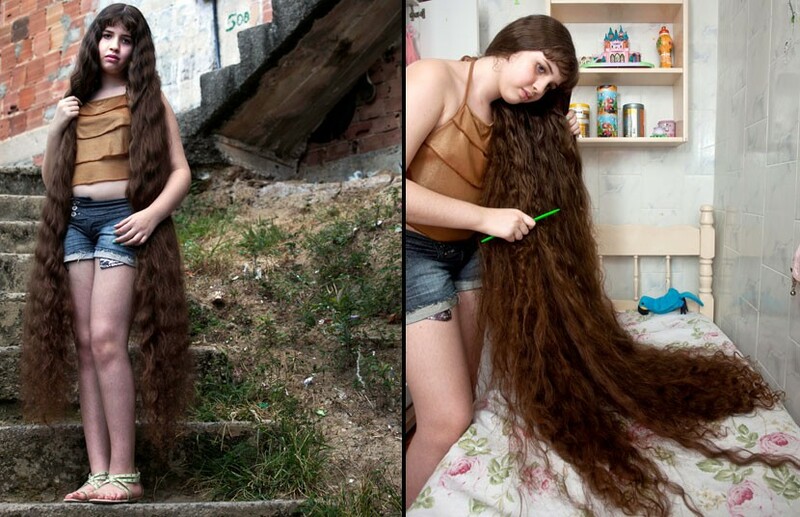 Natasha spends four hours per week washing her hair and up to an hour-and-a-half brushing it each day. She also uses a full bottle of shampoo every week to maintain here hair. 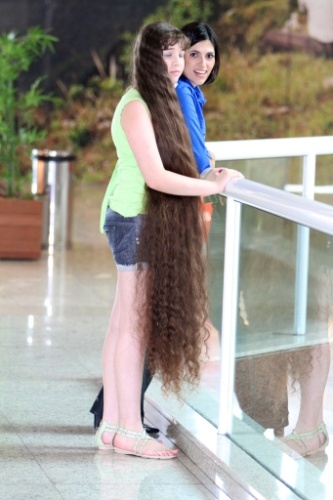 She has to carry it around when she walks, and fold it onto her lap when she sits down. 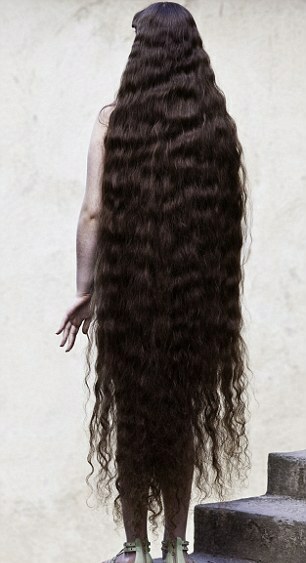 'I've let her keep it this way because she likes having such long hair, but the time has come to get it cut. 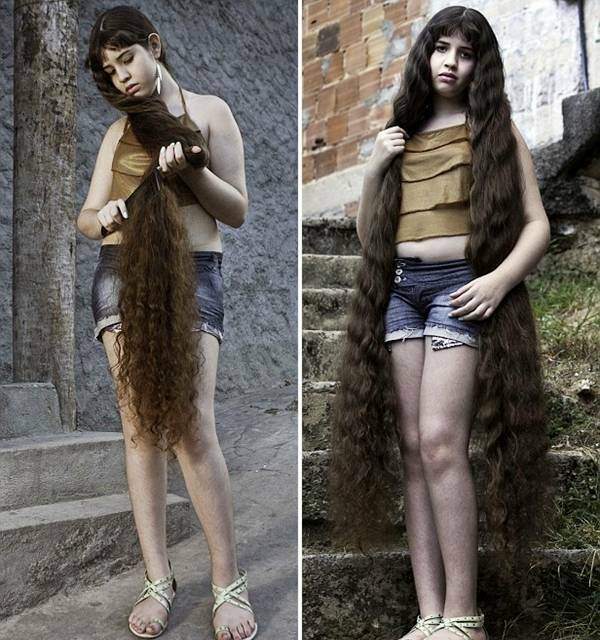 Natasha has been offered 1,750 for her hair once it has been lopped off but hopes to make more. 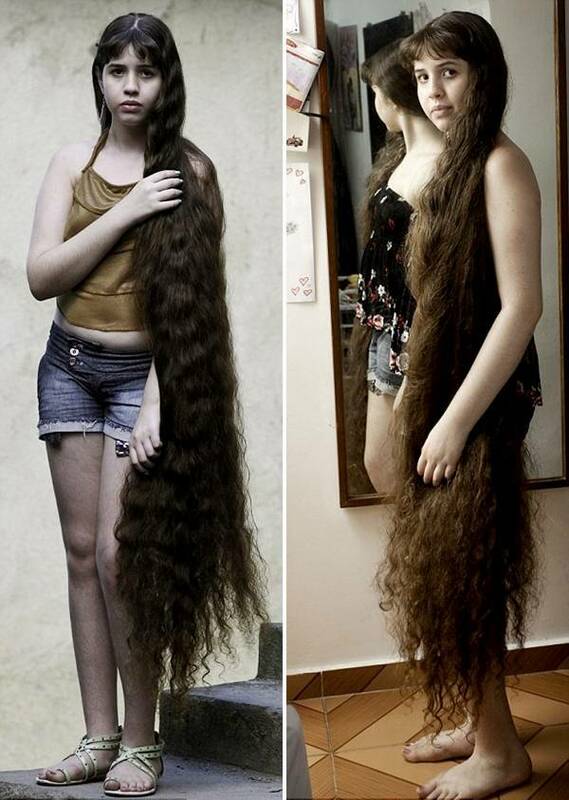 Natasha plans to cut it into a bob before she starts the next term of school. 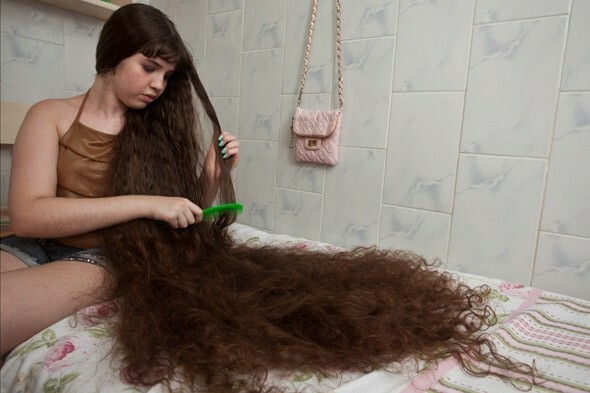 Although she lives close to one of the city's beaches, she can't go swimming because sea water damages her hair and takes hours to clean out. 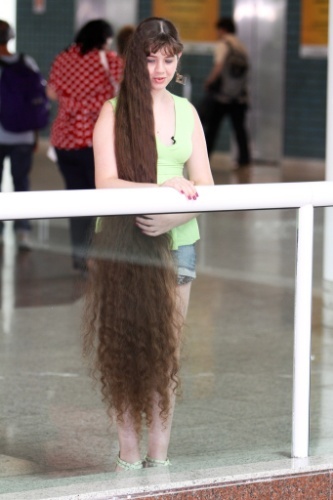 Natasha said: 'I love my long hair and I'll be sad when it's gone. 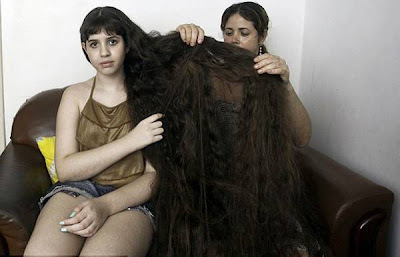 But it's a pain looking after it. 'I can't do a lot of things, like P.E. 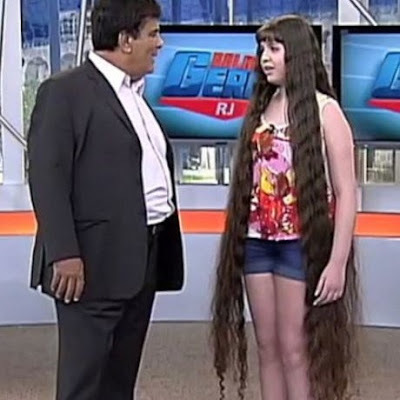 lessons at school. 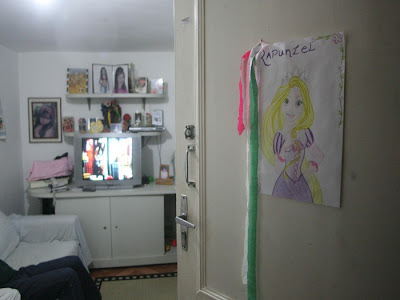 Natasha, who hopes to be an illustrator when she is older, has drawn a picture of the fairy tale princess Rapunzel, which is on the front door of the house.